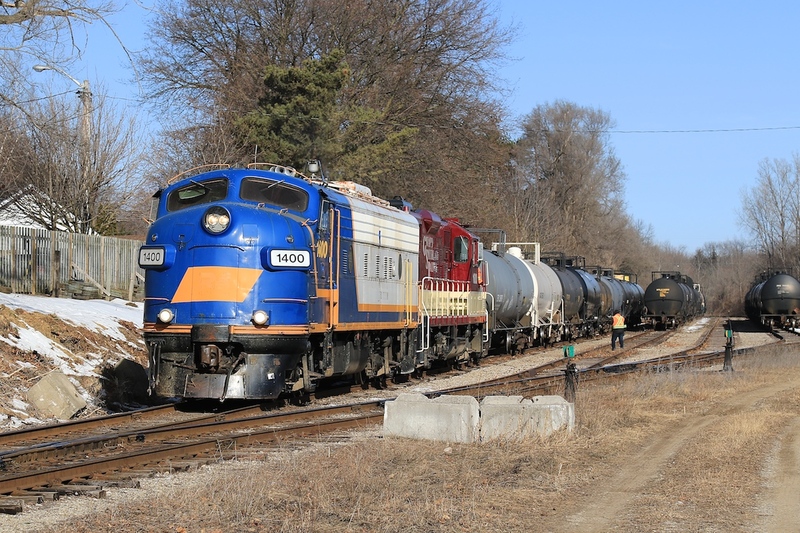 Railpictures.ca - Craig Allen Photo: On a beautiful Wednesday morning, I followed the Tillsonburg Job down from Ingersoll. I was quite happy to find 1400 on point as I hadn’t had much luck shooting it leading in the past. Not that you can go wrong with any of the power that the OSR fields, their collection of vintage locomotives can’t be matched. A classy organization from the management to the guys operating the trains, I never get tired of visiting. | Railpictures.ca – Canadian Railway Photography – photographie ferroviaire Canadienne. Caption: On a beautiful Wednesday morning, I followed the Tillsonburg Job down from Ingersoll. I was quite happy to find 1400 on point as I hadn't had much luck shooting it leading in the past. Not that you can go wrong with any of the power that the OSR fields, their collection of vintage locomotives can't be matched. A classy organization from the management to the guys operating the trains, I never get tired of visiting. I certainly agree with the statements in your caption.